Brian Mozley was raised in Albuquerque, graduating from Manzano High School in 1999. He went on to study business finance and economics at the University of New Mexico. 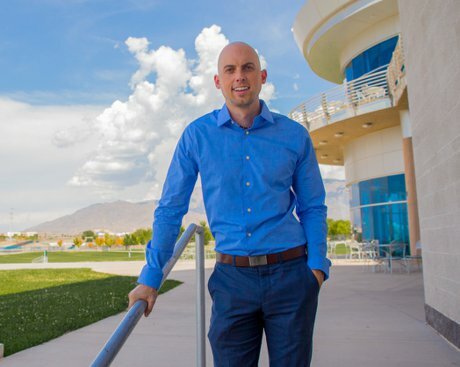 After working in sales for his father's Albuquerque local business, Brian decided to venture into a field that put his finance degree to better use. Brian loves helping people with their finances and views the mortgage industry as the perfect vehicle to do so. Brian has been in the mortgage industry now for over 12 years and has an extensive knowledge of what loan products are available, and how guidelines changing apply in an ever changing market. Brian's goal is to create great long-term relationships with his clients that go beyond a one time purchase or refinance of their home. He becomes involved by interacting closely with people and helping them to fulfill their dreams of being a homeowner. Brian's heart is in his work which ensures our clients they have a great experience. He believes that it is important to make sure that his clients are informed about how the mortgage process works whether purchasing a home or refinancing a home. Brian is excited about the direction the housing market is going and believes that the appropriate steps have been taken in the industry to make sure that previous mistakes in the market are not repeated. Brian is actively involved in his local church, helping with the worship team and youth group. His faith is in the Lord Jesus, and he is thankful for God's grace in his life.